Cleveland, Waters and Bass, P.A. has been serving the needs of Wolfeboro business clients since 1959. Our law firm advises those in the area and throughout New Hampshire, including Carroll County, on a variety of legal issues related to business transactions, real estate, taxes and estate planning. We pride ourselves on offering sound legal counsel in a timely, cost-effective manner. We are committed to assisting all types of businesses, including those that are privately held, charitable organizations or individually owned. Attorneys at the law firm believe in upholding a high standard of professionalism when addressing the unique needs and goals of each one of our clients. We are committed to acting as a team, maximizing our potential for success through the collaborative efforts based on the insights and experience of each team member. Several of our attorneys remain focused on litigation and have successfully represented clients in hundreds of trials. 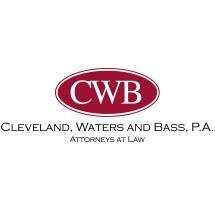 The law firm of Cleveland, Waters and Bass, P.A. has assisted clients in litigation at both the state and federal levels. The collective efforts of our team allow us to use our vast knowledge and experience to protect the best interests of our clients, whether small-business owners or national corporations. From basic contract issues to complex matters of tax analysis and planning, we are committed to individualized service that provides sound legal counsel and guidance to help clients resolve their legal problems and achieve their business goals.